When we go out for dinner, we almost never go to an Indian restaurant. It's not that we don't enjoy Indian food, in fact we both love it but tend to get takeaway if Indian cuisine is on our radar, but when we were invited to try out The Mumbai Mansion in Edinbugh, we jumped at the chance to make a trip through to the capital. The restaurant, situated just a stones throw from Edinburgh Haymarket train station, has been open since late 2015. 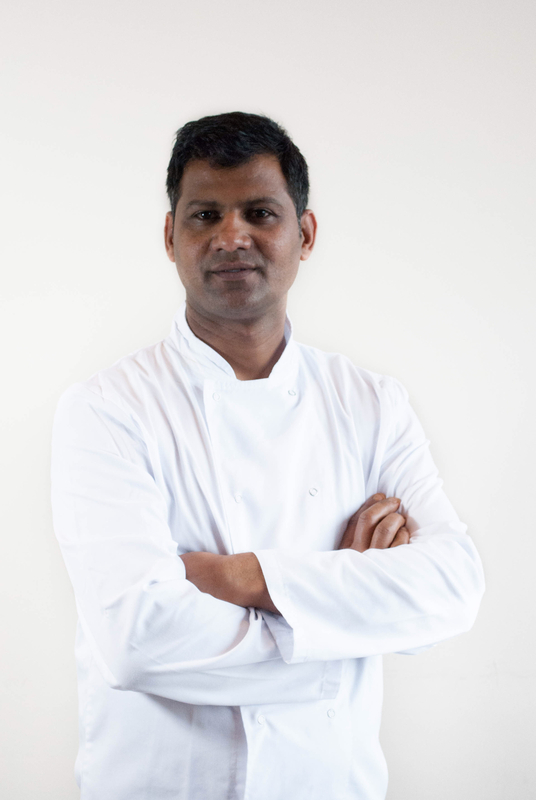 Head chef Pramod Nawani is well known within the curry world having led Mithas to the Restaurant of the Year at the 2014 CIS Excellence Awards (the first time that an Indian restaurant claimed the top prize) Mithas is no longer open but Pramod, accompanied by Rawat Dev Singh who has worked on the Royal Caribbean Cruise Line and The Cinnamon Club, is continuing to wow Edinburgh diners with his unique twist on Indian cuisine. Our table was booked for 5:30pm on a cold Saturday evening and after wandering around the busy shops for what seemed like a lifetime, we made our way to the restaurant. When we arrived, we were the first people through the door and we were a little concerned that The Mumbai Mansion wasn't the most popular place to eat but it didn't take long for the restaurant to start to fill up and by the time we left, there weren't many empty tables. The decor is dominated by the huge chandelier that hangs from the raised ceiling whilst the rest of the interior is decorated in a very modern way without being too clinical. Each of the glass topped dining tables covered a carved wooden map of India and each of its regions. I don't know a great deal about India and its food so would have been good to know which regions influence each of the dishes on the menu. The wine was packed with peach and apricot aromas and a creamy almond finish on the taste that worked very well with the spicy food that was heading our way. Iced tap water was provided without the need to ask. 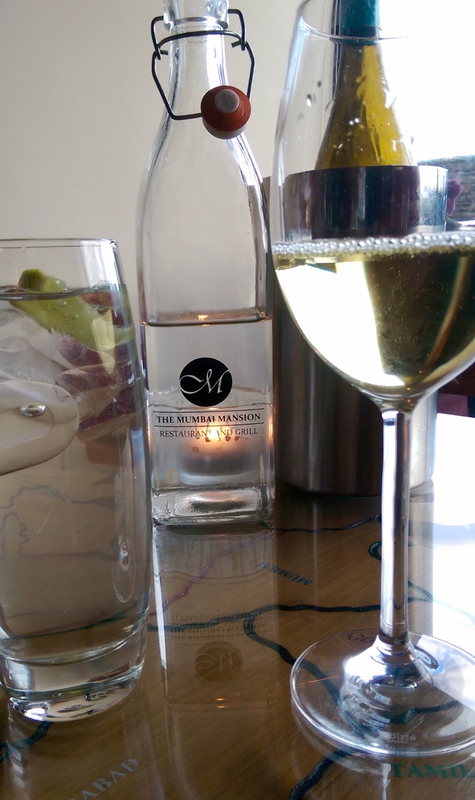 We loved that the water came in a branded Kilner style clip top bottle. The Mumbai Mansion do not deep fat fry anything which means that if your looking for pakora or a cheeky onion bhaji to start your meal, you'll go hungry. The restaurant philosophy is based on the fact that all fresh ingredients can be grilled which allows the chefs to use all their skills and experience to create a menu that The Mumbai Mansion believe will revolutionise the way that we think about Indian cooking. That's said, once we cast our eyes over the starters menu, we weren't disappointed with the exclusion of pakora. 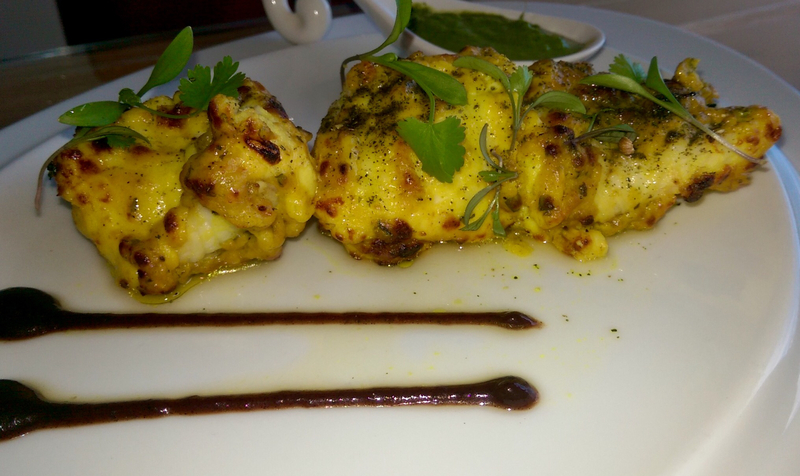 We really struggled to choose our starters because everything sounded delicious but in the end, nicola ordered the Monkfish Tikka which was marinated in yogurt and green herbs before being finished off in the tandoor. What she got was three huge chunks of meaty monkfish that had been cooked to perfection and well spiced but not so much that the fish was lost in the mix. This was served with a fiery green chilli and herb dipping sauce that complimented the monkfish tikka. 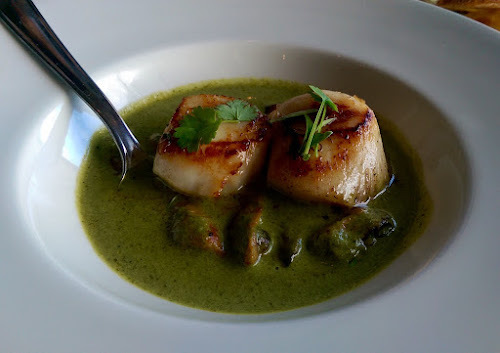 For my own starter, I opted for the Scallops & Mussels which were tossed and served in a Nilghiri sauce. This was a fantastic dish. Two huge sweet scallops and a handful of meaty mussels were served in a sauce that was rich with fresh coriander and mint leaves. Again, the spicing in the sauce was just right allowing the delicate scallops to shine. With our tastebuds now awake, we were ready for more and it wasn't long before our mains arrived. In addition to the dishes that we had ordered, Restaurant Manager Merwyn added a side of curried okra, reasoning that our main dishes didn't come with a huge amount of sauce. I've cooked with okra once before and it was a huge fail, the okra ending up sloppy and gloopy. This definitely wasn't the case here though as the okra still had a little bite while the rich onion and tomato sauce came with a fiery kick. One reason that we don't eat Indian food often is that we both end up feeling really bagged up as we approach the end of a meal. With this in mind, Nicola chose the Tandoori King Prawns which had been marinated in the chefs secret blend of spices. These were the biggest prawns that we have seen in a UK restaurant. There were four of these mighty crustaceans and they were huge! They tasted great too with the spices working well with the meaty prawns. When accompanied with the pilau rice, heavily flavoured with saffron and cumin seeds, light and fluffy naan bread plus the okra side, Nicola had an Indian meal that she was more than happy with. 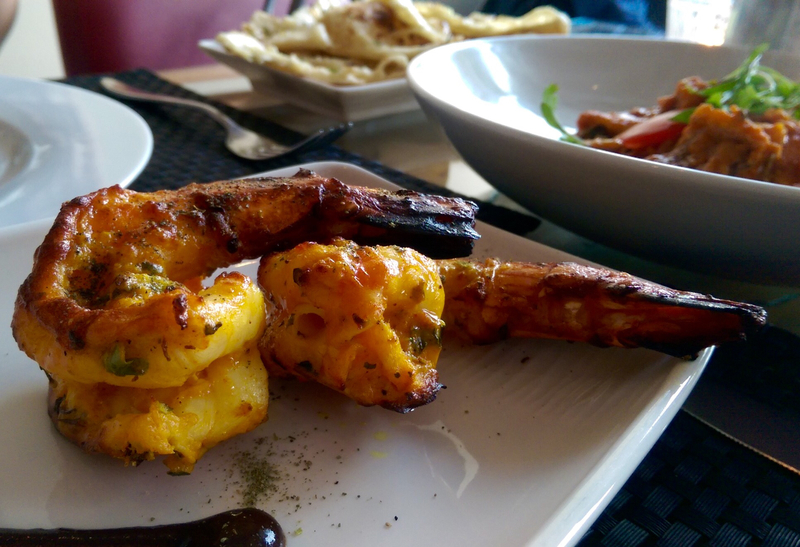 One thing to bear in mind of you order the Tandoori Prawns, make sure to eat them quickly as the Prawns do tend to go a little rubbery once they start to cool down. I really struggled to choose a main dish but when under pressure from Nicola to pick something, I ordered the Sea Bass Masala. The main menu has so many dishes that sound fantastic but I was keen to see how the sweet delicate flavours of the sea bass would stand up against the spices. I had no need to worry though as my main dish was outstanding. The sauce had a depth of flavour that I loved. Sweet onion and acidic tomato were quickly replaced with a slow burn from the spices in the masala but once again, the main ingredient wasn't overpowered. 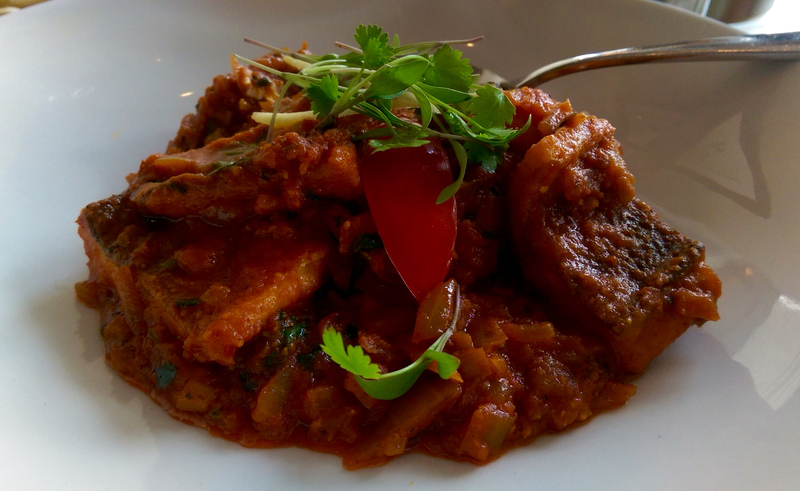 I asked Merwyn how they managed to stop the sea bass flavour being overrun by the spices and he explained that the fish is marinated in spices and pan-fried before being tossed in the sauce just before serving. By this point, we were both feeling pretty full but Merwyn insisted that we had ended our meal with a little pudding. The dessert menu has a selection of puds that you might find in any of the chain restaurants (sticky toffee pudding, cheesecake, etc), but the two that stood out were Mango Tasting and the Indian Trio. The Indian Trio was a dessert that suited the sweet tooth in me. The rice pudding with a burnt sugar crust was sweet and creamy and oh so moreish, while the carrot halwa turned the sugary sweetness all the way up to eleven. Carrot halwa is traditionally served at India festivals, made from carrot, condensed milk and sugar. I'd never had halwa before but once I got used to the slightly unusual texture, I quite liked it although it was too sweet, even for me. The last part of the little trio was my favourite Indian dessert - Gulab Jamun, a sponge made from milk solids that is deep fried before being soaked in syrup. I know they're sweet and I know they're probably not good for you but Gulab Jamun are amazing and the little offering at The Mumbai Mansion was exactly I expected. I was suitably stuffed by the time that I had finished munching my way through the trio but I didn't mind . . . . It was worth it. Nicola's Mango Tasting was a much lighter affair with three little puds that were the complete opposite to the heavy desserts that I had served to me. A sharp mango sorbet with fresh mango salad helped cleanse the palate before the creamy mango panna cotta reminded us that Indian desserts are very sweet. However the shot of blitzed mango with passion fruit purée and fresh mint was the perfect way to end a spicy meal and I'm slightly jealous that I didn't have this too! 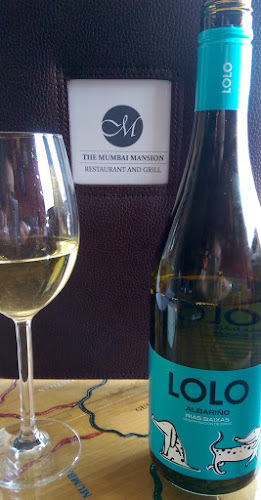 I mentioned earlier that The Mumbai Mansion hope to change people's perceptions of Indian food and based on the meal that we enjoyed, then they have managed to convince the two of us that Indian restaurants can do fine dining too. 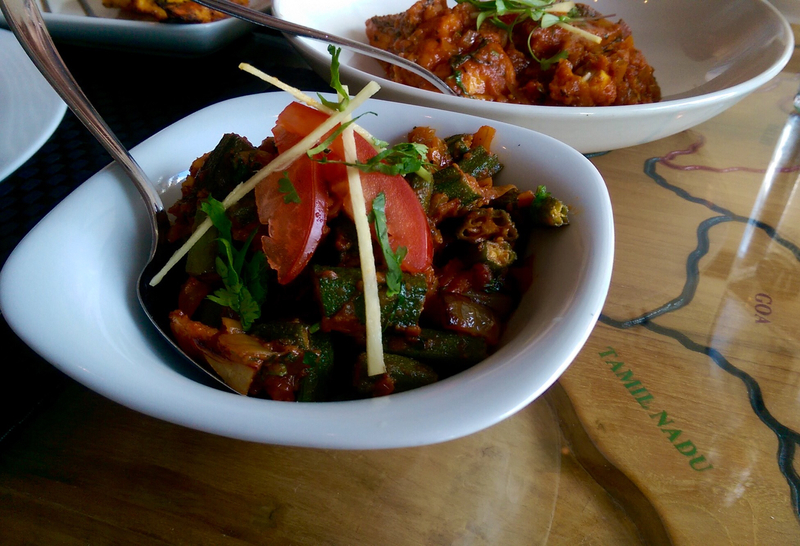 In fact, I'd go so far to say that this was one of the best Indian meals that we've had to date. The Mumbai Mansion isn't the cheapest Indian restaurant out there but with the quality of food on display, they're not going to be cheap. If you are looking for somewhere to celebrate a special occasion or of you fancy a change from your usual curry house, then I would have no hesitation in recommended my The Mumbai Mansion. We were guests of the restaurant but my review is an honest review of the food and service that we received on the night. I left a tip (because we had been given very good service across the evening) but Merwyn was insistent there was no need however I'm a big one for making sure that service is rewarded so stuck to my guns and made our way out into the night. 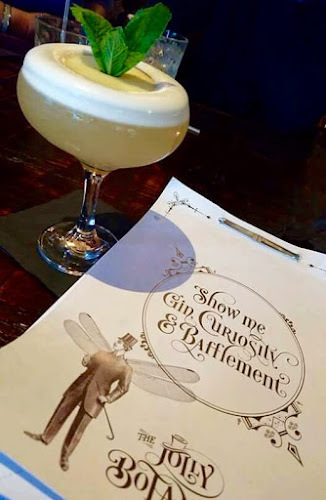 Merwyn got the last laugh though because when myself and Nicola went next door to The Jolly Botanist (an award winning gin bar) for a drink for the road, he managed to get to the barmaid before me and paid for our drinks. Thanks Merwyn! 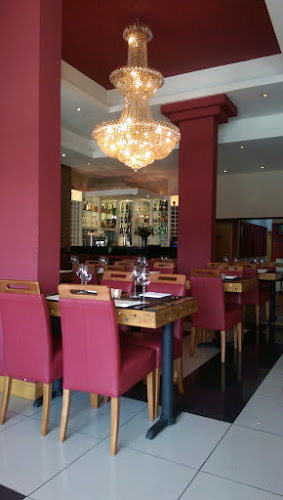 To book a table, call the restaurant on 0131 229 7173 or you can book online here. 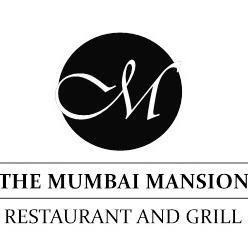 Keep up to date with news and offers from The Mumbai Mansion on Facebook and Twitter. Byron: The Cookbook Out Now!